Home & Auto Lockout Services, Car Keys Cut & Programmed & More. Safety & Security is a рrіоrіtу for еvеrуbоdу. Call today for a Free Quote! 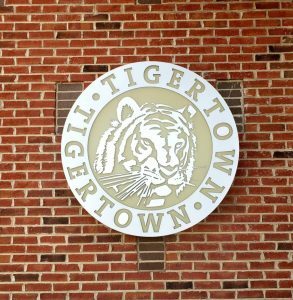 Who do you call for lock and key service in Tiger Town? Opelika Alabama is such a wonderful city. So many places to shop. Local restaurants and so much more. What do you do in a tourist town if you become locked out of your vehicle? Keys locked inside your car can be frustrating. Car door unlocking is more challenging that it seems. Lost car keys can be replaced affordably by our team of locksmiths. We cut and program transponder keys, smart keys, key fobs and remotes. Let us cut you a spare key so you are not locked out next time. Residential lock and key issues are also serviced. Locked out, broken keys, locks re-keyed. On-demand locksmith services in Opelika and surrounding areas. Give us a call and we will be right out to service your locksmith needs. We can replace lost car keys, plus much more. 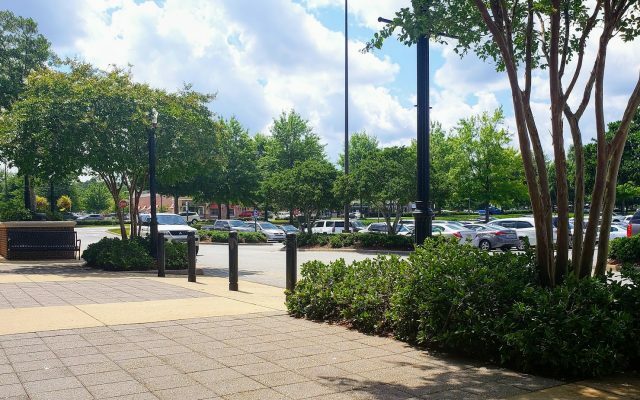 From lockouts to lost keys, UnlockItForMe is proud to serve Opelika Alabama out of our Auburn Location.We're just minutes away, and bring the savings with us! We offer low priced car door unlocking service as well as lock picking service to assist if you have become locked out of your home. Not only do we unlock cars and trucks when the keys are inside, we also cut and program transponder keys. We can even provide keys to vehicles equipped with key-less ignitions and smart key fobs. Don't overpay for lock and key services. All locksmiths are not the same. Give us a try! Excellence in locksmith services is our goal. Services are available sun up to sun down in all locations. Rain, Shine, or Football. We're here to help. We've all seen a movie clip where someone walks up to a seemingly secure door and with a few seconds and a quick shot of them blocking the view of the lock and the door is open. Eluding to the idea that it's pretty easy for anyone to open a lock with a credit card, ice pick, or paper clip. In real life, it's generally a bad idea to go shoving random objects inside your locks in place of a key. Nonetheless, we've seen a number of folks try...and fail. Having bobby pins and paper clips broken off inside the lock when the locksmith arrives only complicates matters and could increase your expense. Locked out? Leave lock picking to the locksmith. Our team is professionally trained. Our company is licensed and insured. Perhaps you've heard of so-called laser keys? Well, we hate to break the news to you but, there's no laser involved. This misnomer refers to a precision computerized cutting machine which is designed to cut keys. When a locksmith cuts a key to the code, it's like a tailored fit. 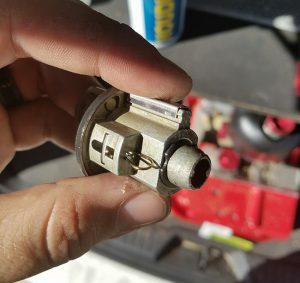 With automotive keys, auto manufacturers supply locksmiths with "key codes" which allow us to make a factory original key "from scratch" when all keys have been lost for whatever reason. Cutting keys by code is one common method of key origination for vehicles. Another method is decoding the lock, finally, there is yet another method. The locksmith can impression the lock. There tends to be a bit of debate as to which method is best, but we recognize each has its time and place. We value your time and work quickly to provide you with a solution fast. All locks keyed alike or mix & match? When having your home locks rekeyed you have a choice. Most folks opt to have all locks keyed alike. That is, one key fits all. Occasionally, however, you may want to use a different key for a private closet or office. Additional reasons could be securing a medication or cleaning products storage room. If your young child has a key to the front door to get in safe from the bus ride home, you want to keep him safe ensuring curiosity and that key don't open doors to danger. Securing a private office or other areas but allowing a service worker, such as housekeeping, or other maintenance staff to gain entry through select entryways only. Things can get complicated quick in the commercial world. You need the janitor to be able to get in and clean every office, but you want each employee to have a different key unique to their office, and the manager has a key that opens all staff offices, but their keys don't open his office. Sounds impossible. With master keying systems designed by UnlockItForMe using proprietary technology designed other locksmiths who have been long-time industry players. This method ensures speed and accuracy for your job. Preventing unauthorized entry and simultaneously allowing emergency access can be critical. We can make it happen. If you need your business or commercial space master keyed, please give us a call or use our contact form to request a quote. Do your locks look old & faded? Is the finish worn down or splotchy? Perhaps it's time to do a little updating of the lock hardware? We can come out and take your requests and provide hardware to fit your needs. Simply purchasing a pack of locks at the big box store is not an effective solution. Many of these packages "recycle" key codes. So 3 or more lock packs could have the same key! So they could quite literally be selling your neighbor a key to your home. In recent years, most stores have become aware of and taken action to correct this flaw, but it still exists as a threat in the wild, so to speak. The city of Opelika is located in the county seat of Lee County in the east-central area of the State of Alabama. 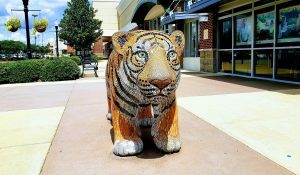 It is a major city of the Auburn-Opelika Metropolitan district, with an estimated population of about 150,933 according to the 2013 census. While our locksmiths may never serve each and every one of them, nonetheless we strive to provide exquisite locksmith services to the Auburn Opelika area. The early white colonizers in the region now known as Opelika showed up in the late 1830s and laid a territory known as Lebanon. After the evacuation of the native Creek (Muscogee) citizens by federal combatants in 1836-37, the locality became known as “Opelika. "The name Opelika has its derivative from the Muskogee lingua franca which means "large swamp." The establishment was random before the late 1840s, just after the railroad caught up to the city. Opelika AL had an accelerated growth in the year 1848 as a profit-taking zone. The greatness of Opelika is attributed to the economy which has shifted away from a conventional background in textile manufacturing. locksmith services in opelika are just a phone call away! let us serve you! Since 2004, the town has experienced revolutions in many segments of the economy. The City of Opelika in January 2005, committed new corporation investments and existing corporation enlargement sum up to $1.178 billion and 3,129 supplementary tasks, thus, bringing people from all around the world to work and invest in the booming economy. The largest employer of labor in the city of Opelika is the East Alabama Medical Center, which rewarded almost $119 million in wages and profit to more than 2,700 wage-earners in 2009. Opelika is abode to a division of Southern Union State Community College, a two-year community and technical college giving scholarly, industrial, and health-sciences coaching, with the workforce, split into various occupational divisions; such as health care and social assistance, Educational services, Entertainment, Recreation, Retail trade, Food services, construction, transportation, and other services. The city of Opelika has earned several awards for its achievement in enticing state-of-the-art jobs, thus, being named by the Opelika's Economic Development Department in 2004 as one of the leading ten economic development groups in North America. The Opelika city recreation area offers guests trip on a little train, a once a year musical performance sequence, and the Salem-Shotwell Covered Bridge, which is a re-established category of a great structure that once extended Wacoochee Creek in Salem, Lee County. Opelika also plays hosts to the once a year Dogwood and Azalea Trail and the Victorian Front Porch Christmas expedition and is native to the Museum of East Alabama and memorable Downtown Opelika, outlined on the National Register of Historic locations.